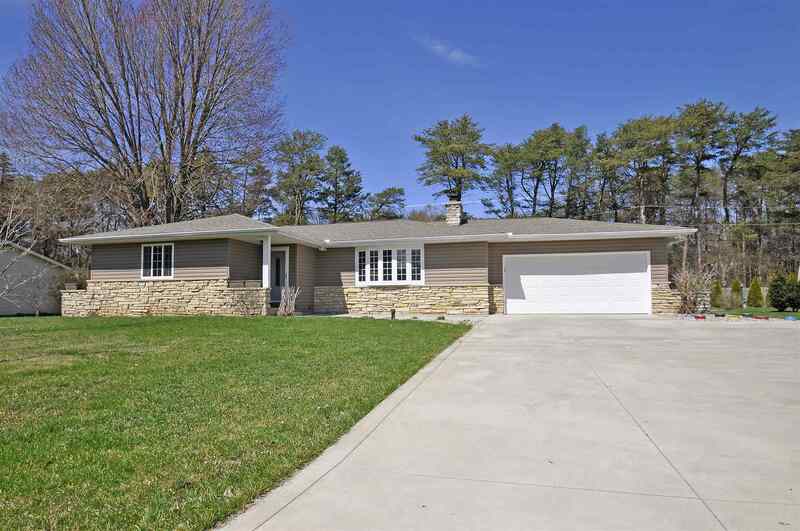 An incredible ranch with a finished lower level, 2 fireplaces, brand new kitchen from top to bottom that is breathtaking.New white cabinets and an island could have bar stools., quartz counter tops, all new stainless steel appliances. All new flooring, hardwood & carpet throughout on both levels. New concrete driveway with an extra parking pad. Fabulous yard and quiet street. $12, 000 whole house generator included. Freshly painted completely on the interior, Large 2 tiered deck, shed for lawn equipment. The pool table in the lower level can stay. MOVE-IN READY.